An intensive course that empowers you to create a new life. What is the You, Inc. Course? 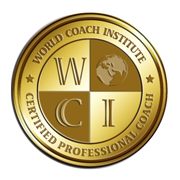 This intensive course is the flagship Life Coaching Program offered by Black Belt Business Advisors. It covers essential personal development components such as: self-knowledge, values, beliefs, goals, skills, accountability and support as well as defining success. These components create your Success Framework. They act as milestones toward your happiness and fulfillment. This life-changing course is organized in such a way that you can easily create a new life vision and confidently move forward in a short period of time. Mid-career professionals asking, “is this all there is”? What will you gain by taking the You, Inc. course? 4 Interactive sessions with assignments and exercises designed to create a great life. "I was experiencing a difficult period in my life and career. David's coaching helped me to structure and view my goals in a way I never have before. I am now feeling that I am back on the path to success." Invest in yourself! Sign up today! Accountability Life Coaching can help ensure your successful attainment of your goals set in the You, Inc. Course. $99.50 per month with a 6 month minimum. The total for a 6 month coaching package is $597.00. This includes any forms and tools beneficial towards your success and unlimited email support. This offer includes a money back guarantee at anytime for a full refund of any unused coaching sessions. For individuals who want to focus on one specific area or issue on an as needed basis, one hour of life coaching is $100.00 per hour. This course was designed by David Lopez. David Lopez is a former Director of Training, has a MBA in Entrepreneurship, and teaches entrepreneurship and small business management at Babson College and Suffolk University. David Lopez is a former Certified SCORE Counselor. He also had a successful 30-year career on Wall Street. He is also a graduate of the Course Design Institute at Suffolk University as well as The Symposium for Entrepreneurial Educators at Babson College. He has been an Advisor, Coach and Mentor to numerous start-ups and CEOs. He is a Certified Life Coach and a Certified Business Coach. David also has been a student of success and successful people for 30 years. The Course materials were created by Benay Wettle and have been adapted with permission by David Lopez.